I’m going to start this off with the truth and not with sunshine, flowers and fluffy bunnies. Life is hard. It’s tough! These are all things we all experience in some form in our lives. And its hard. It’s tough. The thing is, being a Christian can make it seem even harder! It makes us question our faith; whether God truly loves us and wants the best for us or even really exists. I’ve been through some tough times in my life. I’ve wanted to write this blog post for over a year now but never knew how to start or end it. Its not until recently that I’ve fully realised why that moment in my life where it felt like I hit rock bottom really happened. Back in late 2015 my summer job with a Christian organisation came to an end and I was pumped and ready for what God had planned for me next. Well I thought I was ready. I came back home to a family that was in transition, my dad was in the process of leaving his job and starting up a business, which lead to some extremely tough times in our household. Worries stirred about of whether things would fall through and on top of that I was dealing with the dreaded life of unemployment for the 2nd time in my life. And this time it was much harder to deal with. I never knew I’d hit a point in my life when I felt so lonely, so bored and so lost. There were some days where I woke up feeling like there was no purpose to my days. Apply for jobs and not hear anything. Eat more and go to bed. That was my life for 5 months. And I felt so helpless. I didn’t know what I was supposed to be doing with my life and was crying out to God asking when are you going to provide me with a job. When am I going to have a purpose. But the thing is God was working in me in that moment. 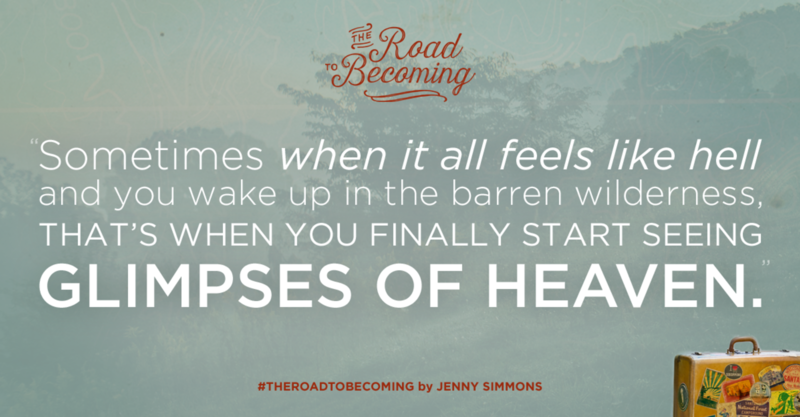 For Christmas I had put on my wish list a book written by Jenny Simmons called The Road to Becoming. Now for those of you who know me, you’ll know I’m a rubbish reader and my family knew that. This book had actually been on my wishlist from my birthday the previous year, so for over a year I’d been requesting this book. And finally Christmas Day 2015 I had the book in my hands. The timing of being given that book was so on point. God had a plan for me and was going to use this book to change the whole way of my thinking about the situation I was in. In 2 day I read every page and broke down in tears. In the book, Jenny shares her story of how things she’d planned and thought her life was going to be like didn’t pan out the way she’d hoped. 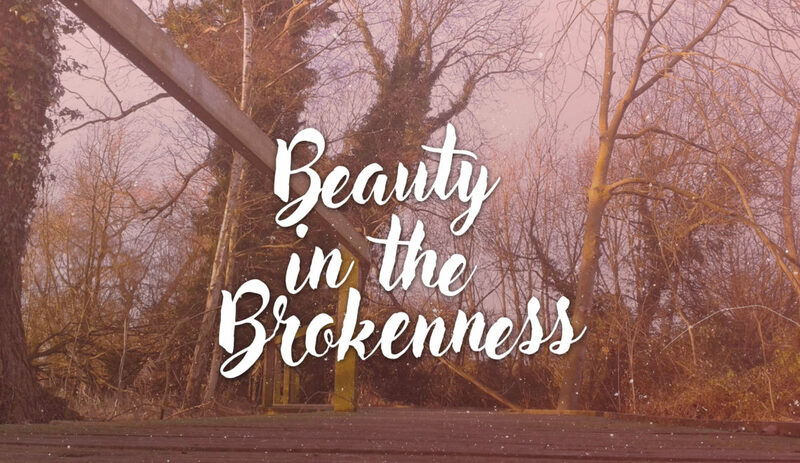 And things went from bad to worse for her and ended with brokenness and a season of waiting. However that wasn’t the end. As God lead her through that season into something even more beautiful. And this is what God was doing in my life. He was revealing His beauty in the season of waiting in my life. I started to notice the small things in my life at home, unemployed, and found joy in the Lord. My focus changed from what I didn’t have, but what I did have through Jesus. The Bible says that not only is it possible to find things to be joyful about during trials, but it actually commands us to do so! So how can we be joyful in times of trouble? Before writing this post, I read a great article by 412 Teenagers and they said this so perfectly. Find joy in the littles things. In the gifts God’s given you. The creation around you… Birds, trees, the smiles on our friends faces. And in that give God all the glory! Most of all, the one thing I found so beneficial was talking to Him. Tell God how you really feel. Be real. Pour out your emotions and cry out to God. I’ve realised that we can get so complaisant with the way we pray. We get caught up with traditions and saying the right things to sound “holy”, but its actually the the most simplest and dirty prayers that pull you closer to knowing Him.